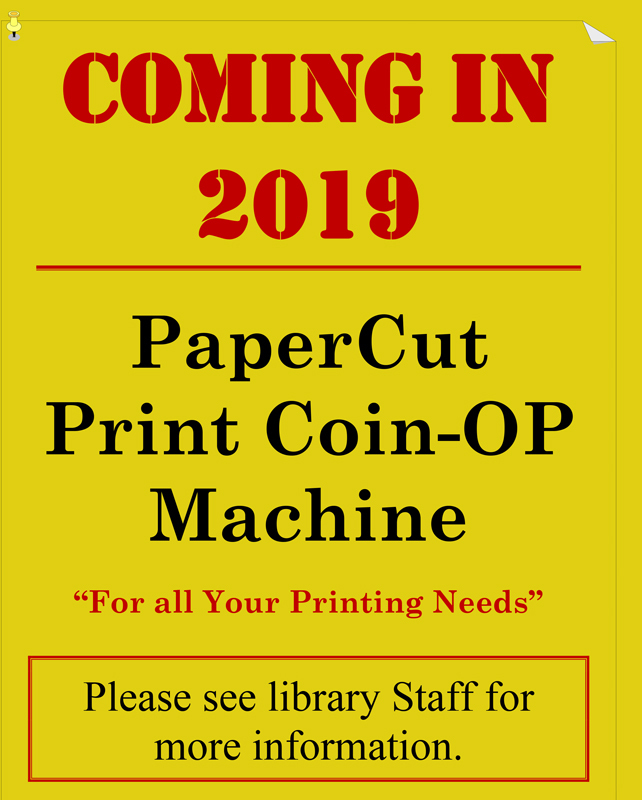 PaperCut is coming for the spring semester 2019. Check this LibGudie for instructions and announcements. PaperCut is a print management system designed to eliminate unnecessary printing in the Library and Success Center. Before you print, be sure to write the name of your workstation. The name will be Library- and a number. For example, Library-01. When you print a document, the document will be sent to the print release station. The print release station is located on the back wall directly in front of the circulation desk. At the print release station, you will enter the name of your workstation, documents to be printed will appear on the screen. Insert your money into the coin-op box to the left. When you have inserted enough money select print for each document. If you do not wish to print a document, click the cancel button. The documents will print from the copier on the left-hand side of the print release station.